Those two cards are so beautiful and funny, great job! These are ADORABLE!!! 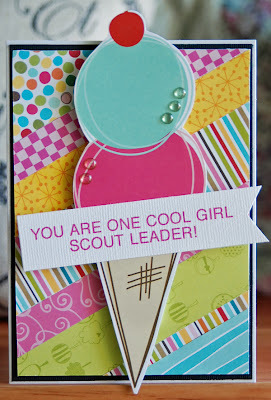 LOVING the colors and those ice cream scoop and the cupcake are soooooooo cute!!!! 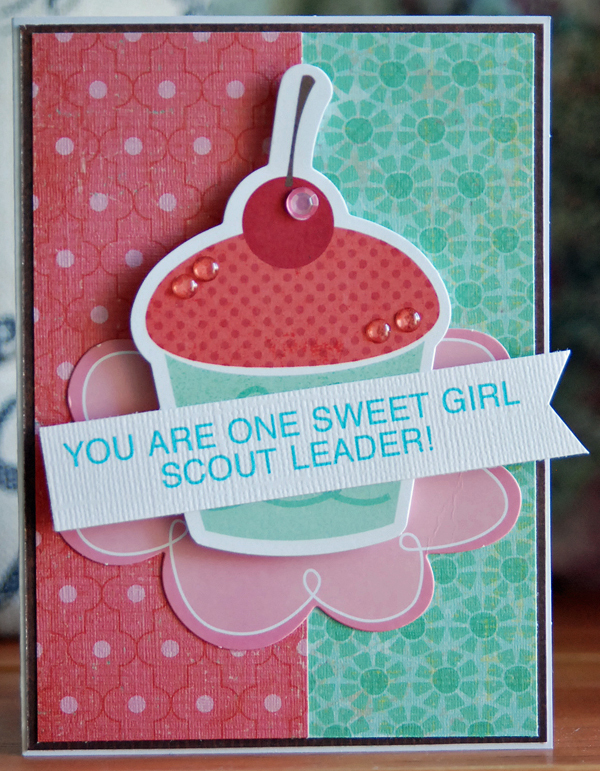 These are lovely, Lisa, and such a sweet thing to do for the Girl Scout leaders. I know they appreciated them. You're teaching Alexa great manners with gestures like this! And Erin is not in Girl Scouts yet, but definitely know that it is a lot of work from my time in Girl Scouts! I do have a few cards I need to make, but they are graduation cards! These are so completely and totally fun! I love them! those are so super cute!! 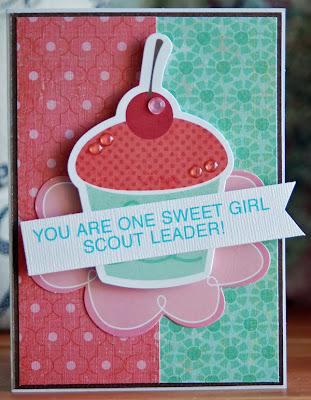 adorable cards Lisa!!! Love the says you used!! Those are YUMMY! Well done! Too cute! Love the colours and the sentiments! I love the colors. I like the diagonal papers on the first. Great idea. These are perfect Lisa! I know her leaders will love them!